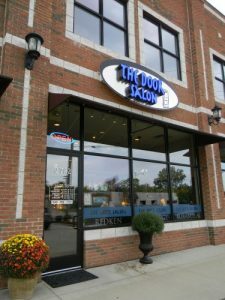 At The Door Salon we pride ourselves on providing a variety of services all in one convenient location. Our hair stylists are highly trained and specialize in any and all of the treatments we offer. In addition, enjoy top quality beauty salon services that include waxing, and facials from our beauty experts. We also offer several special services including professional make up application and hair styling for special events such as weddings, homecoming and prom, etc. A 24-hr cancellation notice for appointments is respectfully requested and appreciated. The Door Salon accepts American Express, Visa, Mastercard, Discover, cash and checks. We regret that we are not able to add gratuity to credit card transactions.